Travelling from Scotland could become cheaper for air passengers, following a new deal on tax powers between governments north and south of the border. A pledge to transfer powers from the UK to the Scottish government could see air taxes dramatically cut, or even scrapped. The move would be welcomed by those travelling abroad, freeing up extra cash for holiday essentials such as travel insurance and spending money. Currently, the air passenger duty (APD) in Britain ranges between £13 and £194, depending on how far you are travelling and the class of ticket you buy. But any move by the Scottish government to slash the tax or get rid of it altogether would make it much cheaper to fly from Scotland than rival airports in England, which may tempt some passengers to rethink where they plan to fly from - particularly if they were already departing from northern airports such as Newcastle. 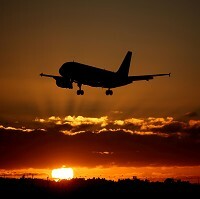 The tax is disliked by travel companies and airlines, who are concerned that it has a negative impact on the UK economy. They would welcome any cut in Scotland, raising the prospect of more air routes being opened up from the country. IAG CEO Willie Walsh said families would see a distinct benefit. The boss of the British Airways owner said a family of four heading on holiday to the US would see a saving of £276. That is money that could be spent on extra excursions while abroad or even on extending the holiday. Mr Walsh also said that scrapping the tax would provide a boost to the tourism industry in Scotland, suggesting the move could bring in an extra £200 million a year. Any change to APD, if Scottish politicians decide to go ahead with it, will not happen before the next general election in the UK, which is due in May 2015, as the new powers will not be transferred before that date.